Conditional modules use Logic Hop Conditions to determine if the modules should be displayed. The default display state is set to Always Display. 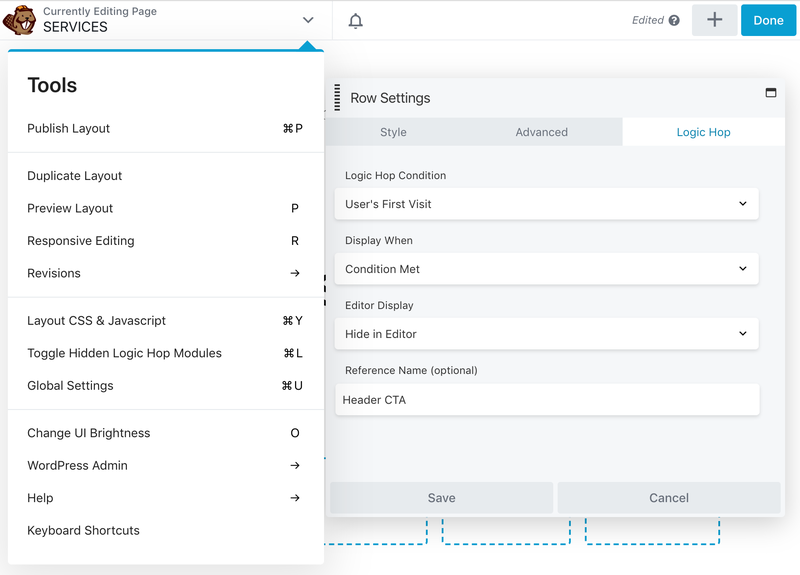 Note: If you create a new condition in another browser window you will need to reload Beaver Builder for the new condition to be available. Nested modules is an experimental feature available in Logic Hop 3.2.2 and higher. Inside another module with the Logic Hop Condition set to any value other than Always Display. 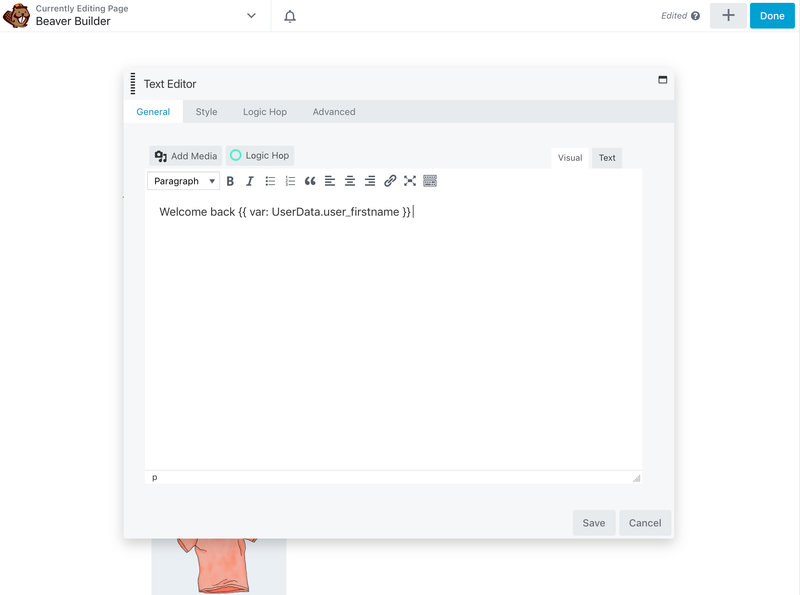 When working with personalization you will often have multiple rows and modules duplicated and visible within the editor. This can make working with content and layouts confusing. Logic Hop provides two methods for hiding conditional modules within the editor. Toggling visibility allows you to temporarily hide elements. Elements are listed by the Reference Name which is set within the Logic Hop tab. Elements without a Reference Name will be identified by their Beaver Builder node ID. 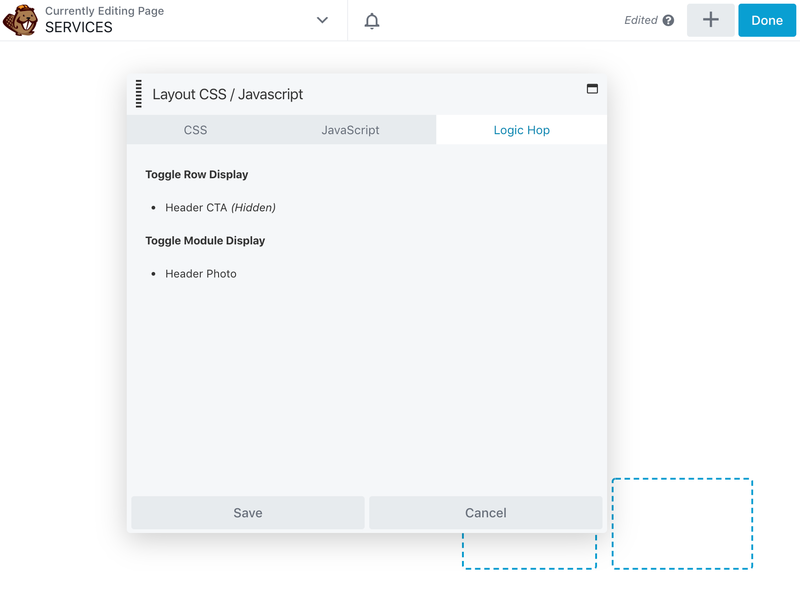 Note: Clicking Save will reload the page and reset the default visibility for all elements. To exit without reloading click Cancel. Conditional elements can be hidden at all times within the editor. 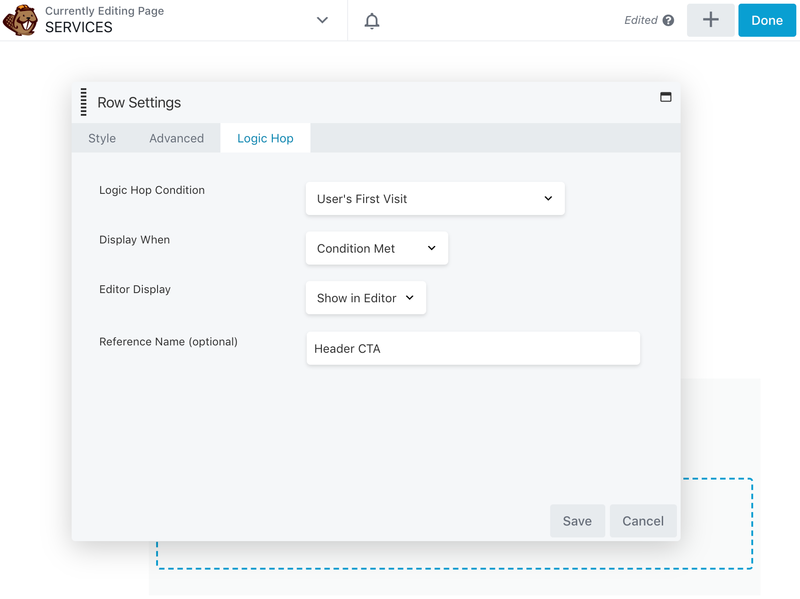 Logic Tags for conditions and data can be used within Divi modules these can be added manually or by using the Logic Hop tool palette. Note: Conditional Logic Tags can be used within conditional modules when Nested Logic Tags are enabled. The Logic Hop tool palette is active within Beaver Builder modules with a text editor. The tool palette can be used to insert Logic Tags, Logic Blocks, Goals and Data into the text editor content. 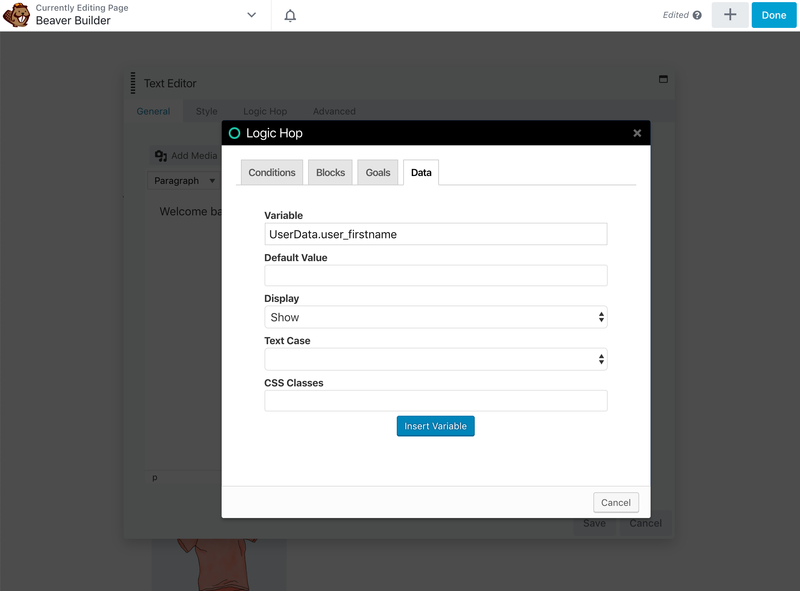 To configure Logic Hop page/post settings use the Logic Hop Page/Post Tool before launching the Beaver Builder frontend editor.